Many systems ask the username to fulfill all three of these roles, which is probably wrong. Clever! By exploiting the redirect pattern that most social networks use for logging in, and assuming that site’s favicon isn’t stored in a CDN, it’s possible to figure out whether someone is logged into that site. Luke continues to tilt against the windmills of the security theatre inertia that still has us hiding passwords by default. As ever, he’s got the data to back up his findings. It’s sad to see MyOpenID shut down, but now I can simply use IndieAuth instead …which means my delegate URL is simply adactio.com: magic! A great in-depth explanation by Aarron on why Mailchimp dropped their Facebook and Twitter log-in options. Partly it was the NASCAR problem, but the data (provided by user testing with Silverback) also brought up some interesting issues. I like this passwordless log in pattern but only for specific use cases: when you know that the user has access to email, and when you don’t expect repeat “snacking” visits throughout the day. Aza Raskin share's some mockups of ideas for incorporating identity management into the browser. Leah has some great ideas on combing "log in" and "sign up" forms into one. It’s common practice for sign-up forms to include duplicate fields for either password or email, where the user has to type the same thing twice. I deliberately avoided this on the Huffduffer sign-up form. Not long after Huffduffer launched, I was asked about this ommision on Get Satisfaction and I defended my position there, citing the audience demographic. I still think I made the right decision although, in retrospect, I’ve changed my position completely from when I said, I can see more value in a ‘confirm your password’ field than a ‘confirm your email address’ field. Thinking about it, getting a correct email address is more important. If a password is entered incorrectly, it can always be reset as long as the site can send a reset link to a valid email address. 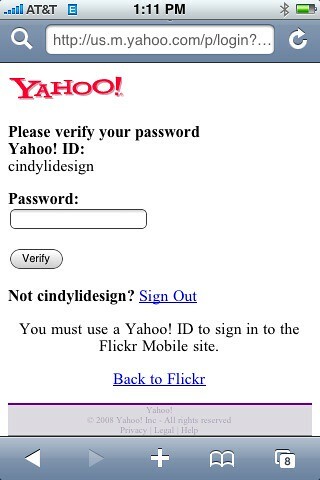 But if an email address is entered incorrectly, the site has no way of helping a user in difficulty. The last thing you see before you submit is your own email address. Sign-up is something that user should only ever experience once on a site. But the log-in process can be one of the most familiar actions that a user performs. A common convention for log-in forms is a “remember me” checkbox. I have one of those on the Huffduffer log-in page, labelled with “remember me on this Turing machine” (hey, I thought it was cute). Has the time come to kill the “Remember me” check box and just assume that people using shared computers will simply logout? There are a lot of arguments, both for and against, in the comments. It prompted me to think about this use case on Huffduffer and I’ve decided to keep the checkbox but I’ve now made it checked by default. I think that while there are very good reasons why somebody wouldn’t want a permanent cookie set on the machine they’re using (many of the use cases are mentioned in the comments to that 37 Signals post), the majority of people find it convenient. Defaults are arguably the most important design decisions you’ll ever make as a software developer. Choose good defaults, and users will sing the praises of your software and how easy it is to use. Choose poor defaults, and you’ll face down user angst over configuration, and probably a host of tech support calls as well. Another interesting take on assigning a visual clue to password fields. Screenshots of various log in screens on the iPhone. I think Cindy has been hanging out with Luke W.
Every Google account can now be an OpenID login thanks to this app built with the Google App Engine. Looks like Flickr has some interesting plans around OpenID. Our reporter Simon Willison is on the scene. Another sign up form that features hCard input (like Satisfaction). Choose a service (e.g. Flickr, Last.fm, Twitter) or enter your own URL.